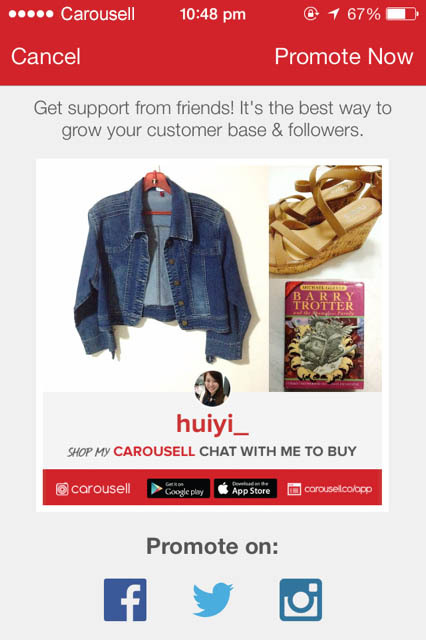 Promote your Carousell on Facebook, Twitter and Instagram! Getting support from friends to grow your sales will be easier! Here's some tips to help you sell better!